After graduating with honors from the University of Iowa with a BBA, Bruno was discovered by a Chicago area modeling agent and chose to put a career in law on hold. A meeting with famed photographer Bruce Webber and the Ralph Lauren Underwear campaign that followed reaffirmed Bruno’s choice to explore the fashion industry and pass on the three piece suit and briefcase. While at home between photo shoots Bruno began tinkering in the family business of Drag Racing. In his first full season on the IHRA National tour, Bruno wheeled his six-second two-hundred mile an hour Top Dragster within two rounds of winning the National Championship. 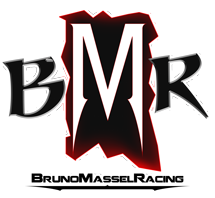 While establishing himself as a perennial championship contender on the track, Bruno continued to keep active in the modeling industry with a client list that includes some of the most significant names in fashion. Bruno began to switch gears in 2001, as he tried his hand behind the camera as a television commentator for the IHRA racing series on TNN and SPEED. His knowledge of the motorsports industry and presence in front of the lens has lead to a fulltime career as an on camera host covering various disciplines of racing and special events in the automotive industry. He currently is entering his seventh season as co-host of SPEED’s half hour weekly show “TruckU.” Bruno took on his latest challenge recently in creating his own half hour pilot “Behind the Helmet” which is currently being viewed by networks for release. Behind the wheel, Bruno is still very active as he won it all in 2009 and 2012! With his 1400+Hp Turbocharged Chevy Cobalt, Bruno has made his mark on the drag racing world securing 2-NHRA World Championships. Along the way he’s picked up “Driver of the Year” accolades to go with 4 Divisional Championships, 3- All-Stars titles and has reset his own national record while laying claim to the highest Championship point total in the history of the category in which he competes.